Jurisdiction Of The Appeals Board Still Available When Medical-Legal Lien Not Activated - ScanFiles, Inc.
Each of these Tracks are independent of each other. In other words, you don’t have to file a lien before filing a request for IBR, or visa versa. Nor must a lien be filed before filing a Petition For Determination in Track number 3. Each track manages it’s own TYPE of dispute, and in fact the Tracks tend to mutually exclude each other in that regard. In other words, if IBR is the appropriate venue for a “fee schedule billing” dispute, then IBR is the only venue that will hear that dispute and make an enforceable decision. If IBR is NOT appropriate for a type of dispute, then the IBR provider (Maximus) will not make an enforceable decision on that issue. When there are multiple disputes that fall under different venues, such as both a “threshold” issue related to the expense AND a billing dispute under a fee schedule, THEN the “threshold” dispute must be resolved before going to IBR. This is all laid out pretty well by the DWC and WCAB in their various regulations, which I have provided links to, above. From here on, I am going to specifically be addressing medical-legal disputes, and not medical disputes. Medical disputes presently have no “Petition For Determination” authority, so the only Tracks available to medical-only providers are IBR (when appropriate), and through the filing of a claim of lien in Track number 2, above. The actual receivable that a medical-legal provider “owns” is a medical-legal cost or expense that is owed to the provider under Labor Code Section 4621(a). The authority and defined procedures for enforcing that receivable against the employer/carrier is contained in Labor Code Section 4622, and is resolved thereunder either through IBR in subsection (b), or through the filing of a Petition For Determination and DOR in subsection (c). The jurisdiction of the appeals board over medical-legal disputes is defined in LC Section 4621(a) and the related CCR Section 10451.1. CCR 10451.1 provides the DETAILS for the filing of a Petition For Determination Of Non-IBR Medical-Legal Dispute that is described in Labor Code 4622(c). Labor Code Section 4622 provides for TWO distinct Tracks for resolving medical-legal disputes, and that is IBR (Track number 1, above), which is defined in LC 4622(b), and the Petition For Determination and DOR, which is defined in LC 4622(c). The ONLY medical-legal disputes subject to Track 1, which is IBR, are disputes over FEES that are subject to an existing Fee Schedule. Therefore, ALL other medical-legal disputes fall under subsection (c) and the Petition For Determination, which is Track 3. With CCR 10451.1, “Determination Of Medical-Legal Disputes“, the appeals board has interpreted LC 4622 and provided additional detail as required by the legislature in LC 4621(a). At CCR 10451.1(c)(3)(A) the appeals board states that a Petition and optional DOR may be filed by the provider for “any” non-IBR dispute. There are no limitations on WHEN the receivable underlying the dispute must be accrued, so it must be assumed this procedure applies to ALL medical-legal Invoices, including pre-2013 Invoices. That is specifically referring to Track number 2, the “Lien Track“. Subsection (e) does not state that if a lien had been filed before 2013 that the medical-legal expense, as defined in subsection (b), is somehow exclusively limited ONLY to the Lien Track, and cannot make use of the Petition For Determination. What subsection (e) tells us is that IF the provider intends to preserve his/her rights to the Lien Track for that medical-legal expense, they must pay the activation fee and follow the procedures defined in CCR 10770.1. Subsection (e) does not state or insinuate that the “medical-legal expense” as defined in subsection (b) is extinguished if the “claim of lien” defined in subsection (e) somehow becomes defective or extinguished. In other words, (e) doesn’t say the expense is wiped out if the lien is extinguished. It simply says that if the provider intends to preserve the medical-legal claim of lien, they have to pay the activation fees. That’s it – short and to the point. Still thinking (e) says you have to pay the activation fee or lose the expense entirely? Well, the telltale phrase written in subsection (e) is reference to the “claim of lien“, and not the “expense” that is defined in subsection (b). Since a claim of lien is a different Track from the “Petition For Determination” Track, and the claim of lien is entirely OPTIONAL when using the Petition for Determination as defined by CCR 10451.1(c)(3)(D), THEN allowing the “claim of lien” to become extinguished would not extinguish the “medical-legal expense”, itself. Losing a once filed “claim of lien” does not extinguish the legal responsibility that the defendant pay the “medical-legal expense” as defined in LC 4621/4622… and does not extinguish the jurisdiction of the appeals board as defined in LC 4621(a), LC 4622(c), and CCR 10451.1. Keep straight in your mind when thinking about all this that we have the expense itself, which is defined in LC 4620… and the responsibility of the defendant to reimburse the applicant for that expense, as defined in LC 4621(a)… and then we have the PROCEDURES for enforcement of that expense before the appeals board that is defined in LC 4622(c) and codified in CCR 10451.1. Not one of those Labor Codes or Regulations states or even alludes to the concept that a claim of lien is required. 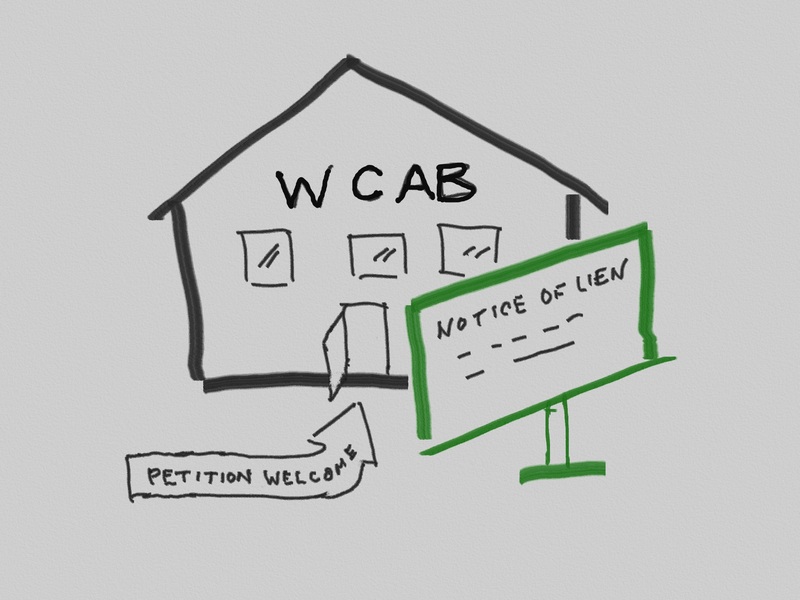 The ONLY reason a claim of lien was required prior to SB 863 was because that was the only authority a provider had for getting a hearing before the appeals board. The claim of lien was what carried the provider’s jurisdictional rights to a hearing. Losing the rights to the lien claim has never extinguished the expense, or the defendant’s responsibility to reimburse the applicant for that expense… it’s just that if a provider lost their claim of lien, they had no rights to go before the appeals board and seek an order for payment. 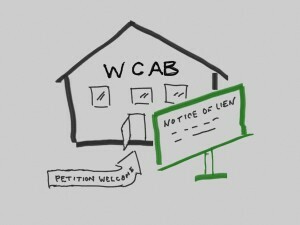 Now that LC 4622 has been amended to include the authority to file a simple Petition For Determination and DOR to settle medical-legal disputes, and that has been further codified in CCR 10451.1 to allow the provider to file that petition and DOR, the provider has TWO choices (Tracks) to get a hearing before the appeals board: Track 2 (Lien), or Track 3 (Petition For Determination). If the provider loses Track 2 because they failed to pay the activation fees or follow the rules in CCR 10770.1, they can STILL use Track 3. Provider A is a medical-legal provider that incurred Invoices PRIOR to 2013 but had never filed a claim of lien related to those invoices. Provider B is a medical-legal provider that incurred invoices AFTER 1/1/2013, and never filed a claim of lien related to those invoices. It’s clear in CCR 10451.1(c)(3) that both Provider A and Provider B may enforce their right to reimbursement for their medical-legal expenses using a simple Petition For Determination and DOR… Neither provider is required to file a claim of lien under LC 4903(b) to enforce their right to reimbursement before the appeals board using this simple petition, nor is either provider required to pay any lien fees. Provider C is a medical-legal provider that incurred invoices PRIOR to 2013, but DID file a claim of lien related to his/her invoices under LC 4903(b). In other words, Provider C has a pre-2013 Claim Of Lien currently on file with the DWC. Labor Code 4622(c) and CCR 10451.1 both lay out the same standard procedure for enforcing reimbursement of “any” medical-legal dispute not subject to IBR through the filing of a petition and DOR. Labor Code 4622 makes no mention of filing a lien, and CCR 10451.1(c)(3)(D) specifically says that a “claim of lien” is NOT required to make use of a Petition For Determination. There is no limitation written in either LC 4622 or CCR 10451.1 that says the Petition and DOR filing described in both may only be used with Invoices or receivables that were incurred on or after 1/1/2013, or had NEVER been related to a claim of lien. Therefore, the plain wording and authority of these Sections stands for a Petition For Determination procedure being used with any and all medical-legal disputes, including the example above for Provider C.
Things would be simpler if the Labor Code and regulations had just the THREE tracks I mentioned above, and kept them all separate. By including medical-legal expenses as one of the categories of expenses that may be part of a claim of lien as defined in LC 4903(b) it creates confusion as to HOW the legislature intends to adjudicate medical-legal disputes. Should the provider use Track number 2, the claim of lien… Track number 3, the Petition For Determination… or some combination of BOTH Tracks 2 and 3? For one thing, ripping medical-legal providers out of the long established lien procedures and forcing them into some entirely new and simplified procedure would be seriously disruptive. Especially when the legislature knew that it would take some time for the WCAB and DWC to create regulations around all this, and to flush out all the bugs in the law. To ease the transition, I can understand why the DIR and the legislature would allow BOTH tracks to be available to medical-legal providers. I could also envision the legislature accommodating those providers that routinely accrue BOTH medical expenses AND medical-legal expenses on the SAME CASE. Rather than force the provider to go through separate tracks to collect their various types of fees, the medical-legal expenses were made optional as PART OF THE MEDICAL LIEN CLAIM. By making medical-legal expenses an optional lien claim category, some providers could enforce resolution of their disputes through the lien procedures (Track 2), while others could enforce their disputes through the Petition For Determination (Track 3). The legislature might also have anticipated applicants electing to incur a medical-legal procedure or service that is not payable by the defendant for some reason, such as a non-pQME medical report, and the applicant wanted to allow a lien against the their permanent disability compensation under LC 4903 to pay for the services. I don’t know what the intent was in making medical-legal expenses both the subject of a lien AND the subject of an informal petition. The fact of the matter is that’s the way the law has been written, in both Labor Code and Regulation form. Therefore, failing to activate a lien should not mean the underlying right to reimbursement for the medical-legal expense as defined by Labor Code Sections 4620-4628 and CCR Section 10451.1 has also been extinguished. I think the friction and confusion around interpreting CCR 10451.1, and particularly subsection (e), has been the ASSUMPTION that the Administration intended to wipe out all the small medical-legal providers that had filed liens prior to 2013 but then failed to pay their activation fees by the 12/31/2015 DEADLINE. I think the reality is that medical-legal providers never really needed to pay those activation fees, in the first place. The Legislature moved medical-legal expenses OUT of the Lien Track1 with SB863, and created this new Petition For Determination Track defined in LC 4622(c), and later codified in CCR 10451.1(c). The point of all this is to argue that medical-legal expenses are not subject to lien filing procedures, lien filing fees, lien activation fees, or the lien procedures defined in CCR 10770/10770.1 UNLESS that is the TRACK the provider deliberately intends to pursue. If a provider would rather go down the simpler Petition For Determination with DOR track, then the claim of lien is not necessary, and in fact should probably be avoided because of the fees involved. While I’ve yet to hear of anybody actually attempting to use the Petition For Determination Of Non-IBR Medical-Legal Expense on a receivable that is associated with a now-extinguished claim of lien under LC 4903(b), I can’t find anything in the current state of the law that would preclude this procedure. To the contrary, when reading LC 4621(a), LC 4622(c), and CCR 10451.1(c), what I read is a very clearly defined and simplified procedure for getting medical-legal disputes resolved without a lien claim. This isn’t some oversight… it’s the intention of the legislature. If you know of some case or language that stands for something different than I have suggested here, please let me know by replying to this post, or sending me a private email (Stephen@ScanFiles.com). I would love to hear your feedback. As always, keep in mind that I am not an attorney and I am not giving legal advice here. I am merely pointing out what the Labor Code and Regulations say, and offering my personal interpretation.